We've Moved! Come See us at the New Sono-Ma.com! Attention Sonoma County parents! 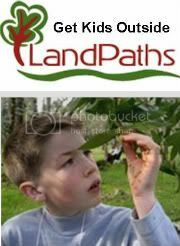 A terrific on-line resource and community just hit the web today. 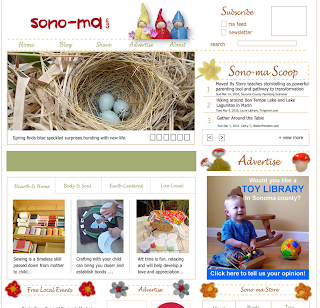 Come on over to Sono-Ma.com, and discover how to join, and creator Holly White-Wolfe's quest to document Sonoma County's unique parenting style. Sono-ma is a growing on-line resource and community for "sharing the art of mothering in Sonoma County." 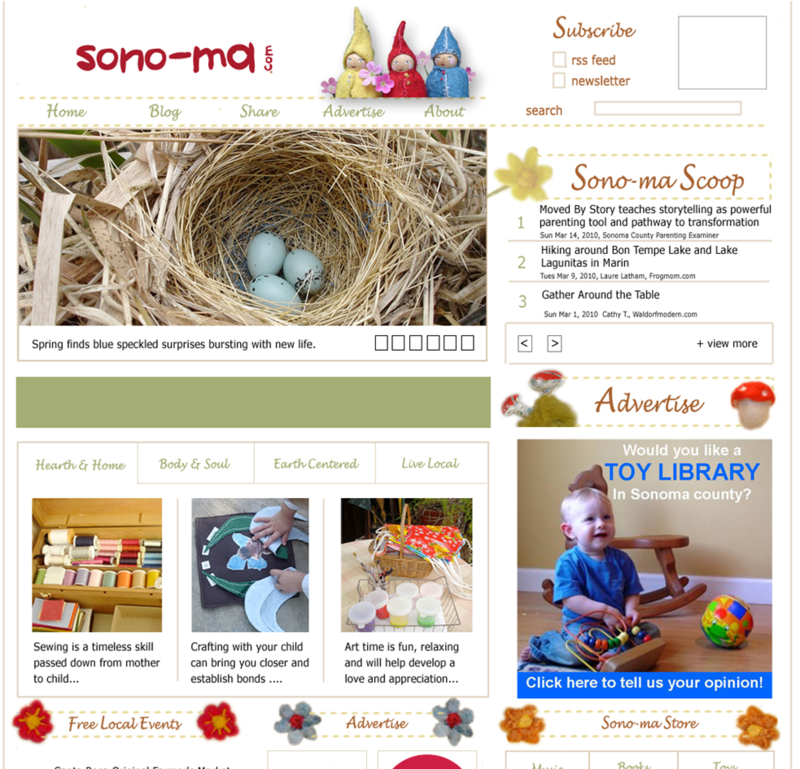 On May 13, visitors to Sono-Ma.com will find a newly imagined, fully-featured website offering a wealth of support to local, conscientious families. From articles such as "Detours Around the Loom..." showcasing local mother's who are also pursuing career and creative endeavors to articles such as "Make and Do Mamma..." you'll find ideas, support, and inspiration to support your work as a parent. Dr. Sloan, award winning author and a guest contributor to Sono-Ma, will also keep you abreast of important Sonoma County Health issues. DeAnna L'am, author of "Becoming Peers: Mentoring Girls into Womanhood", also contributes a monthly story on raising girls with confidence. Then there's Waldorf Modern's Cathy Tullysmith, offering regular tips for how to get your family to "gather around the table" and eat locally. You can be a part of Sono-Ma. in almost any way you please. Sign up for our Newsletter service and you'll be sure to get all article posts and local updates - simply send a blank email to sono-ma@getresponse and we'll send you a sign up confirmation. You can show your support and read articles through Facebook, Networked Blogs, or by going right to http://www.sono-ma.com/. 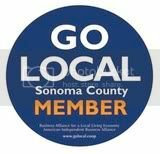 Leave comments, suggest stories, and join our "Sonoma Sharing" group on Big Tent. 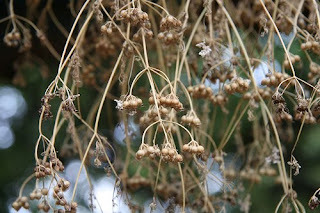 Share the seeds of your inspirations today! "Just where did Sono-Ma come from? Let's just say that the seed of the idea was planted when I first became a mother, and I began to see Sonoma County through the new lens of a parent. While I'd moved to Sonoma County in 1995, I blamed that fact on chance and circumstance, and planned to find another home where I would settle down to perhaps raise a family. However, I started to develop a fondness for the place where I built trails in dozens of gorgeous green spaces with the teens from the Youth Volunteer Corps. I found a growing respect for the many innovative and civic minded folk who worked with me to create healthy communities through my job at the Health Department. Then we bought a house in downtown Santa Rosa, and I found I could live my whole life without driving a car. I walked to the Farmer's Market, the library, my doctors' offices, and the happening fourth street. Later, I signed up for Business School and found I could easily commute to Market Street in San Francisco to get a first rate education while enjoying the city life in weekly, bite sized durations. It hit me... 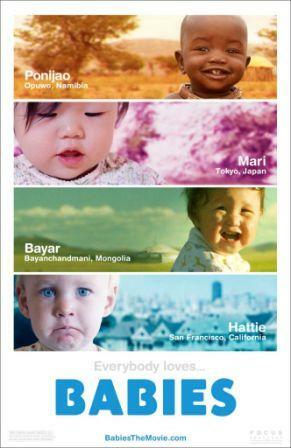 I live in the center of the best place on earth! As we all say, Sonoma County is a gorgeous green space, is home to local innovators and artisans, sports a lovely coastline, and is a hop, skip, and jump from the world class metropolitan city of San Francisco. Becoming a mom opened my eyes to an even more powerful and unique characteristic about Sonoma County: this place is home to tons of local parents, health practitioners, and educators who are committed to raising a new generation of eco-concisous, multi-cultural, initiative-taking chidlren. From the people at the Women's Health and Birth Center, to my friend the late Reverend Coffee, to the moms I met at the Waldorf Roots and Shoots program, to the farmers who open their farms to our children, to the hundreds of mom-prenuers who are popularizing the homespun, I found a tremendous amount of local inspiration for a new way of raising families. Sono-Ma began to grow in my mind as I saw this new way of parenting by living local, being earth-centered, living on a rhythm around the core elements of hearth and home, and nourishing families' bodies and souls... I wanted to capture and document this growing "Sono-Ma style" mothering movement, and provide resources to local moms who were also hungry for support in creating a this grounded, healthy way of raising families." 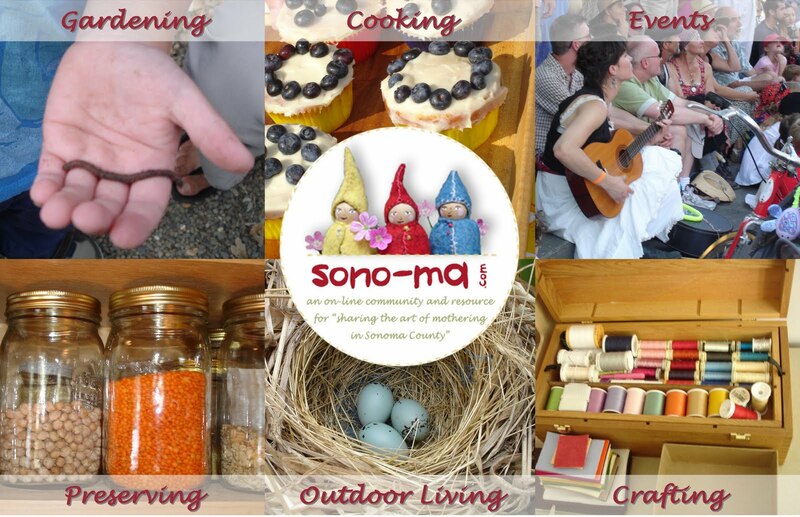 One year later, Sono-Ma is turning out to be a real community and showcase for the art of mothering in Sonoma County. Join in and share today! Pardon me while I finish my daily glass of Redwood Hill’s Blueberry Pomegranate Kefir… This stuff is so tasty and creamy, it is hard to limit myself to one glass a day. My husband used it to make a peanut butter smoothie yesterday, and even he was raving about the taste. Who would have thought this girl who was raised on homogenized, pasteurized, Vitamin D cow’s milk would ever drink fermented goat’s milk? The thanks for this dietary change goes to my health conscious mentor, Miss Teapot, who introduced me to Sally Fallon’s Nourishing Traditions . While I’ve always devoured mass quantities of milk, cheese and yogurts, much of it did not sit well with my system. I’ll spare you the details, but let’s just say that my stomach -like the vast majority of today’s American population’s stomachs – did not digest milk well. Sally Fallon revealed that the problem lies not with milk, but with how today’s milk is produced and processed. Once I realized I could enjoy milk products if I selected raw, unprocessed milk from pasture fed animals of heritage breed, I began a mad search for local products. Luckily, here in Sonoma County we don’t have to search far! 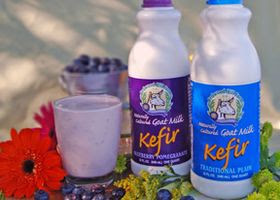 I get weekly milk shares from the Leras Family’s Santa Rosa ranch () for my family’s daily milk consumption, and I purchase West County’s Redwood Hill Farm’s products such as Kefir and artisan cheeses. Even my stomach agrees – I am in dairy heaven! While the raw milk and the kefir’s natural probiotics help my digestion, there are other benefits from sourcing my dairy products from these local farms. First and foremost, I enjoy knowing the cows, goats, land, and farmer’s who all contribute to the food on my plate. Redwood Hill’s goats are absolutely adorable, and they’d tell you they live the high life. They live on the first humane certified goat farm in the United States, where the Bice family cares for the heard with a deep seated passion and skill for old fashioned animal husbandry. Redwood Hill goats put in their service for about 10 months a year, and then vacation in the Spring to raise their babies. They give milk for our happy consumption for about 10 years, then they retire to graze in the fields until their days end. Do you know Redwood Hill’s products? Which are your favorites? Ever met their sweet little goats? Do tell by leaving a comment here! Mother's Day offers the opportunity to celebrate the women in your lives that nourish, champion, sustain, and support you. Be it your mother, grandmother, a mentor you think of as a surrogate mother, or the sister you want to recognize for her fantastic mothering abilities, there's bound to be a woman in your life that would appreciate the profession of your love and gratitude. Mother's Day may also be your day, and your family may need help thinking of special ways to thank you. For the next ten days, Sono-Ma will feature a collection of Sonoma County local, unique ideas to inspire celebrating moms - use it for your own shopping list or print it out and leave it where a loved one might catch a hint of what you are hoping for! Take a minute to show her you care by crafting a homemade gift. Your homespun gift is thoughtful, creative, and thrifty. 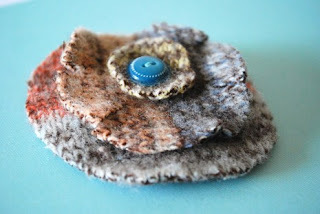 Santa Rosa's Selena Cate (Apron Thrift Girl herself) offers a wonderful idea for making a felt brooch in just five minutes. Follow her tutorial offered at www.curbly.com and delight mom with a one of a kind creation. Want to see the other nine tips now? 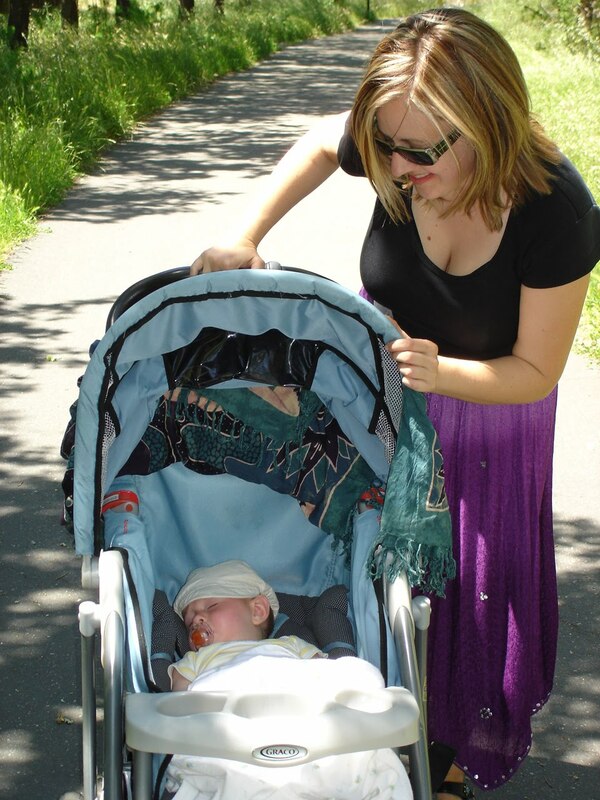 Head over to the Sonoma County Parenting Examiner to view the complete list today! Support her creative pursuits with a gift certificate to Cast Away Yarn Shop. She'll appreciate this personalized gift, and with a wealth of craft supplies, artisan gifts, and classes to choose from she's sure to come home with a smile! Cast Away's featured local artist Isla Corbett's modern felt designs offer one tempting gift for mom. 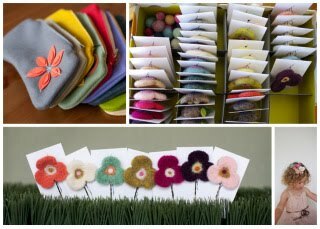 From swinging clutch purses to lovely hair clips, mom will find beautiful felt accessories to remind her of your love all year long! Give mom the gift of good memories.... a perfect gift for grandma too! 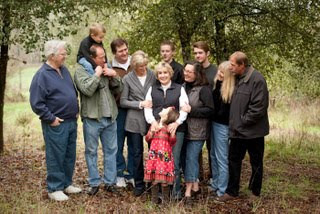 Just look at the endearing extended family (photo shoot at the beginning of this article) featuring dear Grandma in the middle. Arrange for a custom family portrait gift certificate with the talented local photographer Kate Nagle. Kate's ability to capture the bond between family members in a relaxed and authentic moment will create a priceless gift for the lady in your life. Visit Kate's on-line gallery for fantastic photo inspiration and to arrange your family's photo shoot. The California Parenting Institute and Better Beginnings invite you to treat mom to a special Mother's Day weekend event. Come to the Rialto Movie Theater to be one of the first to view the new, endearing "Babies" movie and experience a lovely reception including wine and appetizers. Attending moms will also receive special gifts. Read more here. Watch the trailer here. Looking for a way to help mom rest and rejuvenate? Look no further - find Osmosis: "A Healing Sanctuary in Sonoma County's Coastal Hills." Osmosis, the only day spa in the U.S. that offers the Cedar Enzyme Bath, offers this unique heat treatment as well as massage and facials. Inspired by a life changing stay in Japan twenty-five years ago, local Sonoma County father Michael Stusser created Osmosis with a vision of healing, beauty, and inner peace. Osmosis also operates in respect to nature as a member of the green spa network. Read more here or call 707.823.8231 for your reservation today! Sonoma Mission Inn offers a world-class brunch experience for moms and families. "Join us for an elegant Mother's Day Buffet in Santé, the Inn's premier dining room and recipient of the prestigious Michelin Star and AAA Four Diamond Award." (via Sonoma Mission Inn site). The buffet is offered on Sunday, May 9, 2010, 10:00 am - 6:00 pm, with live entertainment by Harpist Laura Simpson. Show mom she's your princess with a personalized Princess Cake from Costeaux French Bakery. This decadent dessert has "three layers of white chiffon cake filled with Bavarian custard, raspberry conserve, and whipped cream enrobed in marzipan", and can be inscribed with a message of love for mom. Costeaux presents the 6" Princess Cake for $20 (when ordered for a May 8 or 9 pick up). Costeaux offers many other sweet treats for your beloved lady. See this list for additional sweet gift ideas for mama from Costeaux's selection. Or bring your mom into the Bakery Cafe for brunch on the 7th, 8th, or 9th. If mom lives out of town, talk with the Bakery Counter staff about sending her a Costeaux packet of goodies.